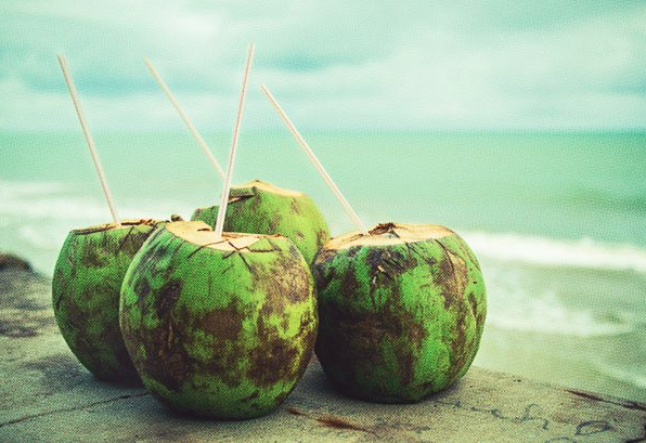 For thousands of years, tropical cultures have enjoyed the nutritional and thirst-quenching benefits of coconut water. Those of us outside the tropics have witnessed a coconut water craze sweep health-conscious consumers over the past 10 years, and for good reason. Coconut water possesses high quantities of nutrients, minerals and essential electrolytes including potassium, magnesium, sodium, manganese, calcium and phosphorus. Because of these properties, it is highly effective in not only rehydrating the body, but provides energizing rejuvenation as the body’s electrolyte balance is restored. Electrolytes are inorganic compounds that become ions in solution and have the capacity to conduct electricity. They are important for electrical signaling—and of course your brain, heart, muscles, and nervous system are all bioelectrical systems. Your cells use electrolytes to maintain voltage across their membranes and carry electrical impulses to other cells. Things like water balance and blood pH depend on your body's proper electrolyte balance, and you can suffer severe medical problems if your electrolytes fall out of balance. Staying hydrated and replacing lost electrolytes are essential requirements for athletes and all individuals active for long periods especially when in hot conditions. Due to the popularity of hot yoga, coconut water is a very common sight at yoga studios worldwide. Water and other fluids help the body maintain proper body temperatures, while electrolytes, particularly sodium and potassium, are needed to regulate bodily functions. Isotonic coconut water is quickly ousting synthetic sports drinks for energy and replenishment after exercise and throughout the day. It is low in cholesterol and sugar and has a pleasant, light coconut flavor. Coconut water also has an alkalizing effect on your body, which can help correct the cumulative effects of acidifying foods that make up most diets today. The list of health benefits of coconut water is impressive, and growing with each new scientific study. Coconut water is now a universally appealing and familiar beverage of choice. It is not only cherished in health-oriented lifestyles but considered safe in pregnancy, infants as well as in diseased conditions.